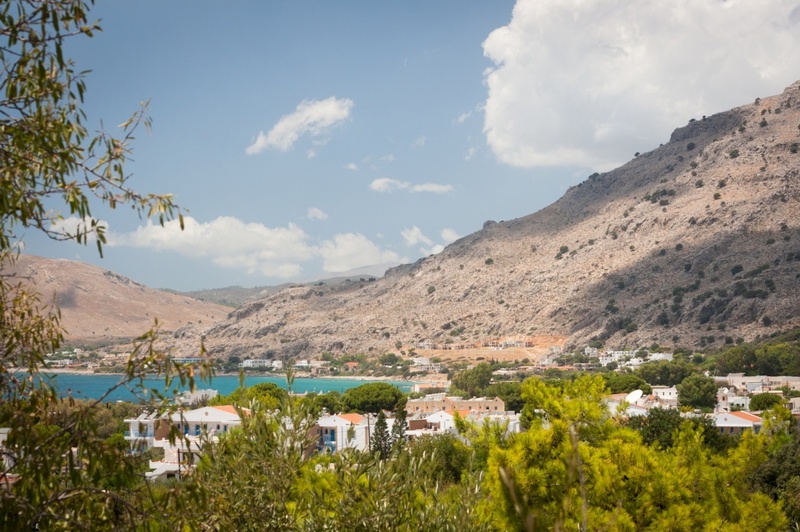 Pefki is a small settlement located at the southern tip of Rodos, 56 km from the town of Rodos. Here you will even see the picturesque Greek grandma sitting on the balcony, like the one of the postcards. Pefki was built in an old village which was once known as the village of fishermen and is between Lindos and Lardos. If you are looking for a quiet vacation, Pefki is the right place for you! You can lay on the beach all day, under the pine trees' shadow (from which this place was named after) and then, when the moon is up, enjoy a drink in a nice decorated bar. Visiting Pefki during the day will leave you with the impression of a relaxed holiday resort, however when it gets dark things are different here, with more activity. The taverns will offer you delicious food (taste the fresh fish) and a variety of bars with different kinds of music, are ready to entertain you! Also take a stroll at the souvenir stores (there are plenty of them here) and choose from a variety of souvenirs and memorabilia to remind you of the great times you experienced while on the island! The beach located in the village is full of tourists during the day. Bars and cafes are close to the beach and you can also find jet-skis and speedboats for rent. Visitors will even discover scattered areas with pebbles among the pine trees and the azure waters. At the end of the beach, caves with shallow waters are appropriate for swimming and exploration and are a meeting point for many tourists. DO: The sand of the beach is so soft, ideal for sunbathing. DON'T: Pefki has the most souvenir shops from any other place in Rodos, so if you like to buy something don't forget to compare the prices among the shops. Find information about selected Hotels, apartments and rooms in Pefki to choose the perfect place for your accommodation.